Randy and Lisa’s love of wine began in Italy. 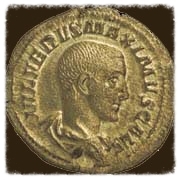 In homage to this, we have adorned our labels with authentic Roman denarius coins. 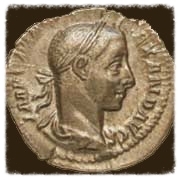 Over 2,000 years old, these coins pay honor to wine and its history in ancient Rome. Wine has been crafted and enjoyed for over 4,000 years, becoming and integral part of daily life throughout the centuries. These coins represent our link to the fallen era and the wine that brings us all together. Over the years, they have collected these coins - and they are on display in our Napa Valley tasting room.